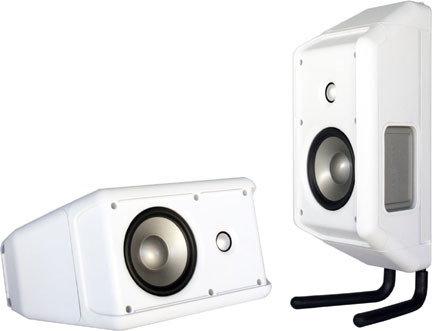 zc series of in-ceiling loudspeakers. 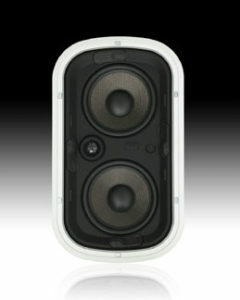 -zi series of in-wall loudspeakers. coNEXTion Systems, Inc. was founded by Doug Wright, whose objective was to break new installability ground and dramatically improve the acoustical performance of custom installed loudspeaker systems – especially of the in-ceiling variety. coNEXTion Systems products have proved revolutionary on several installability/performance fronts, creating the industry’s first tool-less installation system that dramatically reduces installation times and reduced the risks associated with working on the top of the ladder. Great strides were made in the sound quality area as well – leading one reviewer to claim that they were the first ceiling mounted systems he had encountered that were able to produce an actual three dimensional acoustical image – another industry first. These products generated seven issued or currently pending patents – six of them for utility and one for design (#D512,047 S, #7,121,756 B2, #7,334,767, #7,483,544 B2, #7,570,778 B2, #7,587,059 B2). coNEXTion’s version of an outdoor loudspeaker, the sonoma series, also broke new ground and was called “audio’s apple” by one reviewer for its aesthetic design and was praised for its installation simplicity. 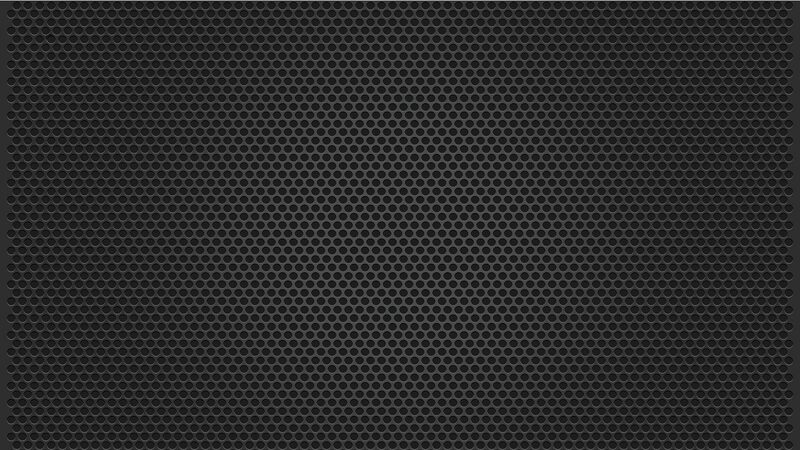 Even though the sonomas retailed for just $600.00 per pair, this same reviewer stated that their audio quality was better than many $3000.00 per pair loudspeaker systems that he had reviewed. For 50° angling tweeter system. For mid/high frequency pitch and roll mechanism. For 20° angling tweeter system. For rotate-to-lock baffle-to-frame attachment system. This mechanism enabled the installation of a Primary Frame (the primary mechanical interface between the wall structure (Drywall/Wallboard) and the speaker system) into a previously cut hole in the wallboard without the use of any tools other than the installer’s hands. This is the only system of its kind and has been enthusiastically received by installers as a major step forward toward reducing the risk and expense of installing these types of products. This mechanism enabled the installation of the Baffle Assembly, also without the aid of any tools. It requires no pre-alignment, allows for up to 359° of rotation after installation into the Primary Frame Assembly and is fully “lockable” to prevent any after-installation “buzzing or rattling”. No other system of its kind is currently available. This mechanism enabled the angling of a woofer from 0°to 20°. It is also “lockable” and does not depend on friction to maintain its position. It comes pre-positioned from the factory in the 20° position, and can be infinitely adjusted between 0°and 20°. There are other “ball and socket” systems available but all rely on friction fits to maintain their position. There are no other adjustable, locking systems currently available. A locking ball/socket mechanism (rotator) that enables a tweeter or tweeter/midrange-combination to be rotated up to ±50° without creating any refractive surfaces. In combination with the angling woofer mechanism and the extending post, these features enable up to 70° of total rotation. This allows the tweeter or tweeter/midrange-combination to be directed toward the desired listening area unhindered, on-axis, and with relatively low diffraction. No other system of its kind is currently available. 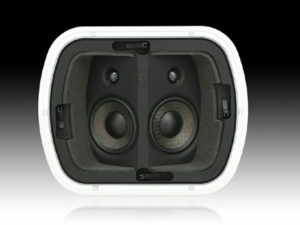 The sonoma® outdoor speaker systems do not require any pre-installation disassembly or assembly. All mounting/angling mechanisms are hidden from view after installation, making for a truly “aesthetically-benign” cosmetic that is compatible with far more architectural environments than most of its competitors. It is fabricated from thick-walled structural Nylon 6/6 (up to ½” thick) resulting in an extremely dense and inert cabinet (it is much closer to an MDF than is the typical plastic cabinet). The sonomas® feature twin, molded-in passive radiators that impressively improve the system’s bass response. Overall the sonomas® were acoustically impressive enough that Brent Butterworth wrote in the January ’06 issue of Home Entertainment: “In fact, I have heard some $3,000-per-pair speakers that do not sound as good as the Sonoma Ten”.